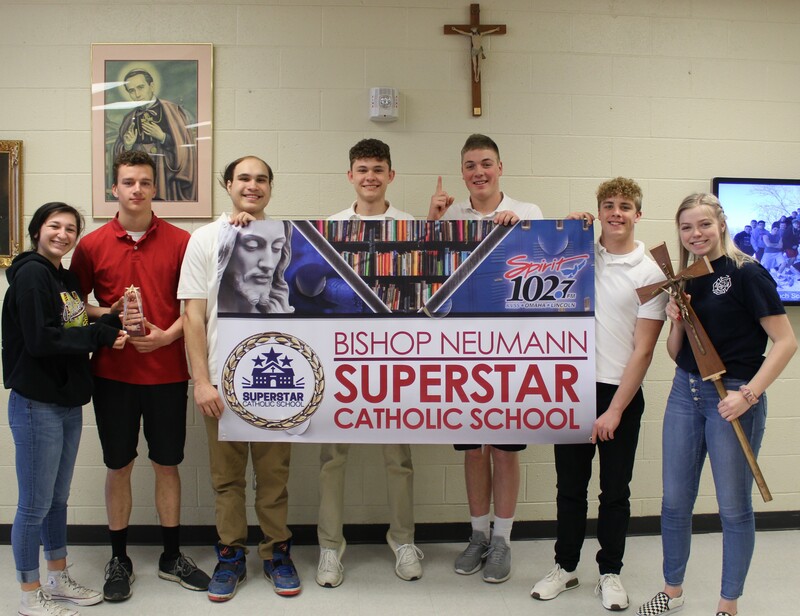 Spirit Catholic Radio stopped by Bishop Neumann High School today to awarded us with the SuperStar Catholic School!!! Click the link to listen to Principal Kreikemeier discuss how Bishop Neumann High School is a Super Star Catholic School!! !